Clean eating, fresh, healthy food & coffee! Primal Roast is a clean-eating cafe serving healthy food and quality coffees at 278 St Vincent Street in Glasgow's city centre. Developed, owned and run by trained crossfit instructor, Iain Walker, the former sous chef at the Ubiquitous Chip with over 20 years' experience in fine dining. Primal Roast provides health-conscious food and excellent coffee in a welcoming and friendly environment. It is a family run affair with Iain's brother, Ross, managing the shop as head barista. Our stripped-back menu offers a range of simple, clean and healthy lunch or breakfast options. The breakfast menu includes sweet potato hash browns served with poached eggs, two rashers of smoked bacon, tomato relish and spinach, as well as the very popular mashed avocado and bacon on rye bread. Lunch time items include the popular buddha bowls –bowls of steamed rice, spinach, pico de gallo salsa served with either a meat or vegan-friendly options. including child beef or slow cooked chicken thigh tagine as example meat options or aubergine, fennel and bean stew as an example of the vegan option. Other lunchtime stapes daily soups, frittata and various salad options. 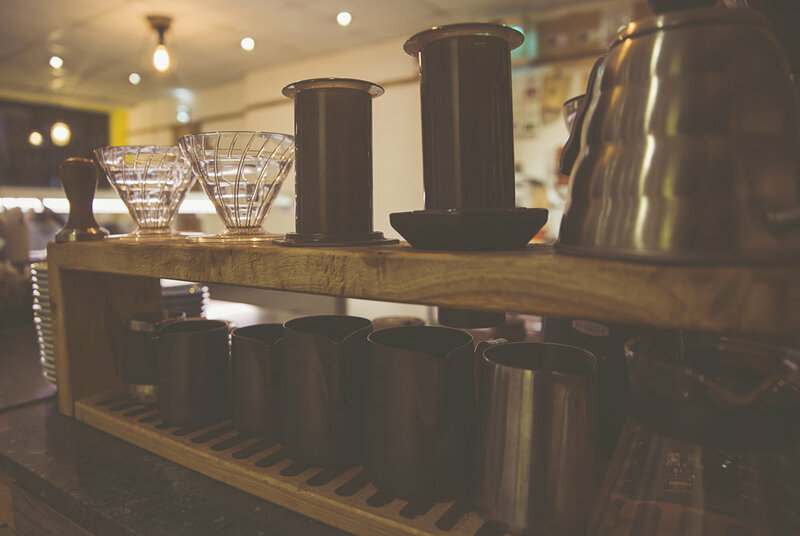 You can also expect expertly-made coffee from Glasgow’s own Dear Green roasters as well as guest coffees from other specialist roasters around the UK. To date, this has included beans from Foundry Roasters in Sheffield, Dark Arts in London, Union Handed Roasters in London and Avenue Coffee in Glasgow. 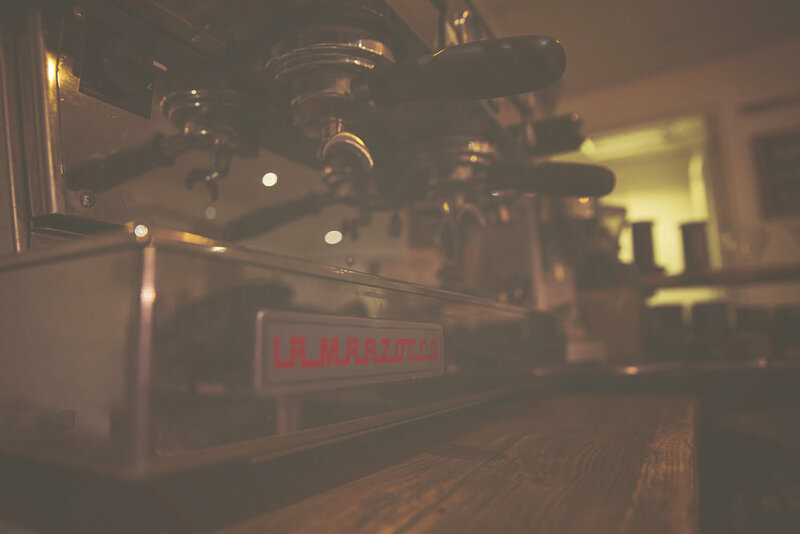 Our Lamarzocco machine provides the main stay coffees that people expect from a coffee shop but we use our brew bar for our guest roasts offering aeropress and V60s for the true coffee enthusiasts. All baking is done in-house and all cakes are dairy and refined sugar free. A lot of our cakes are also wheat and gluten free and there are always at least two cakes which are vegan friendly. The most popular cake is the raw caramel cake which is made using dates, nuts, coconut oil, agave syrup and raw cacao. This particular cake ticks all the boxes and is gluten free, wheat free and vegan friendly. Other popular cakes include the chocolate orange cake and our raw cheesecakes which vary in flavours from chocolate and raspberry to lemon and coconut. Our dishes have been created with various dietary requirements in mind and can be altered to suit most needs. We also have a specific vegan menu with a good selection of choice to cater for all tastes. All our soups and salads are vegan friendly as well. Our location at 278 St Vincent Street is ideal for both passing trade as well as sitting squarely in Glasgow’s financial district. We also have fostered close ties with the local community and surrounding gyms who have referred a number of (now) loyal customers our way. With a rear seating section big enough to hold over 25 people, Primal Roast is ideally-suited for either a day-time meeting or a leisurely breakfast or lunch.